This 900 page work is sold only in full two volume format. A contribution towards understanding Anthroposophic remedies, based on the Wala remedy compositions. 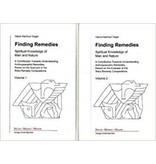 Finding Remedies - English Edition: Dr. med. 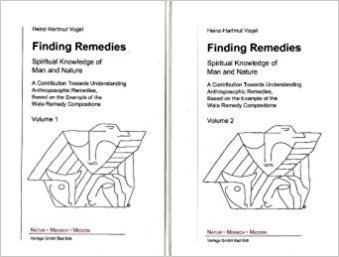 Heinz-Hartmut Vogel Spiritual Knowledge of Man and Nature In "Finding Remedies" Dr. med. Vogel presents the basis of a method of a path towards discovering remedies. It's based on Goethe's natural scientific writings. It's based on the Goethean Approach to Man and Nature by Rudolf Steiner. On this background Dr. med. Vogel demonstrates how, in the individual case, rational therapy can be developed out of an understanding of pathology. Rudolf Steiner's Special Attention to the Anthroposophical Knowledge of the Human Beings and provides a basis for comprehending medical-pathological problems. With the example of the WALA remedy the reader is given the opportunity to participate in the thought which leads to the composition of the preparations. The method can then serve as an introduction to a training in the directed therapeutic work with remedy compositions in anthroposophical medical practice.